Located in Lynchburg, Virginia, Liberty University is a private Christian university. 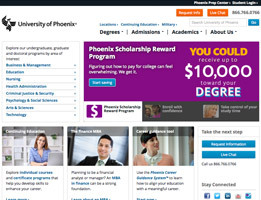 Their annual enrollment includes more than 90,000 online students and about 13,000 residential students. 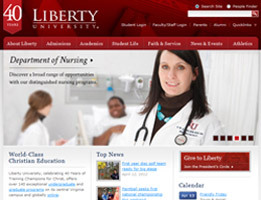 Liberty is the largest nonprofit private university in the United States, the seventh largest four-year university, the largest university in Virginia and offers many different bachelor and master's degrees programs to choose from. 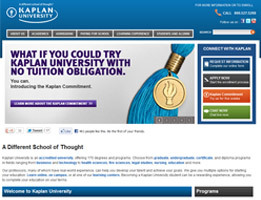 Kaplan University was designed to serve non-traditional students by providing flexible scheduling. They offer an extensive list of certificate and degree programs, specifically tailored for entrepreneurs looking to expand their skills set, the unemployed seeking a career change, anyone interested in gaining more knowledge for their workplace, stay at home spouses, or new students. Capella University is a for-profit institute that specializes in online education and has 22 certificate programs, about 1,700 online courses, and 145 specializations. With students from more than 60 countries and all 50 states, 25% are in the bachelor’s programs, 42% are working on their master’s degree, and 31% are enrolled in doctoral programs. Plus, 86% of Capella’s faculty hold doctoral degrees themselves. Based in Minneapolis, Minnesota, Walden University is a private for-profit school of higher education committed to improving communities through education. Founded in 1970 in Naples, Florida, Walden University is accredited and only offers classes online. It started as a place where working professionals could earn doctorates and use their knowledge obtained to bring about social progress as community leaders. 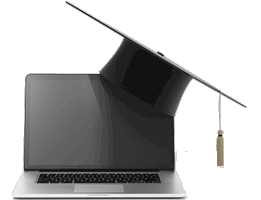 Distance learning is far from a new technology, but its expansion has now allowed for many graduate schools across the country to offer degrees to students on a global level. While there are some programs offering doctoral degrees online, we’ve seen tremendous growth in the master’s degree offerings. 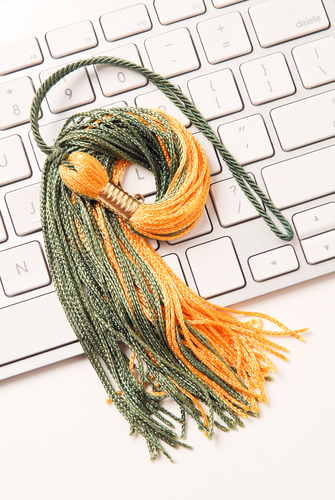 According to a 2012 study, 35% of all master’s degree students were taking at least 80% of their courses online – a 16% increase since 2011. It’s no surprise really, as online education offers a number of benefits, and treats those students the same as on-campus students who attend classes in the brick-and-mortar institution. Online students must do at least a portion of their coursework in person, such as an “immersion weekend” to network with other business professionals, or a short term campus residency. When you’re raising a family, being present to work and take care of them is likely your first priority. Online degrees offer a level of convenience and flexibility that enable to you to set your schedule around the demands of your personal and professional life. You’ll want to look at how classes are delivered – some classes are asynchronous, meaning you can access them at any time, while others are synchronous, which requires all students to be “present” at a specific time. If you need an extra layer of convenience and flexibility, opt for asynchronous. If you however, feel you need to mimic the real classroom environment as closely as possible, opt for synchronous. These lectures are taped and available for streaming in the event that you cannot possibly attend the “live” lecture. 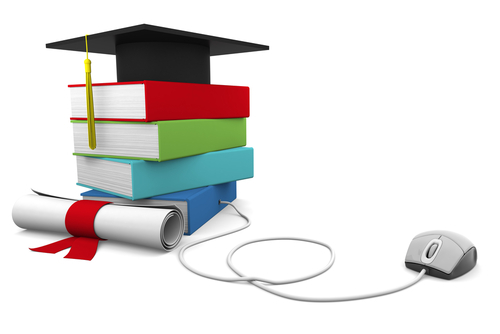 Earning your graduate degree online means you can continue to work in your field, while you work on the degree. This means you keep money coming in to support yourself and your family, but also that you can apply those things you learn in school on the job immediately. If you’re already in a position that has room for advancement, you could be well on your way to the new position by the time you complete your degree. An important thing to consider is the accreditation behind the school you choose. Making sure you can use the degree, and transfer the classes should you decide to move up to a higher degree is critical. Bear in mind however, not all online schooling options are comparably priced to their brick-and-mortar counterparts. Some will priced nearly the same, but others could come with a much higher price tag. It’s at this point you have to decide not only what you can afford, but you have to weigh other factors, such as your availability, and the university’s accreditation before making a decision. When it comes to employers and job hunting, it’s good to know that most employers don’t care how you got the degree. Employers look at the way you handled your education – your grades – more so than where the degree comes from, compared to online or traditional.